You may remember this sweater (now on sale!!) from this post a couple weeks back. I can’t stop wearing it! 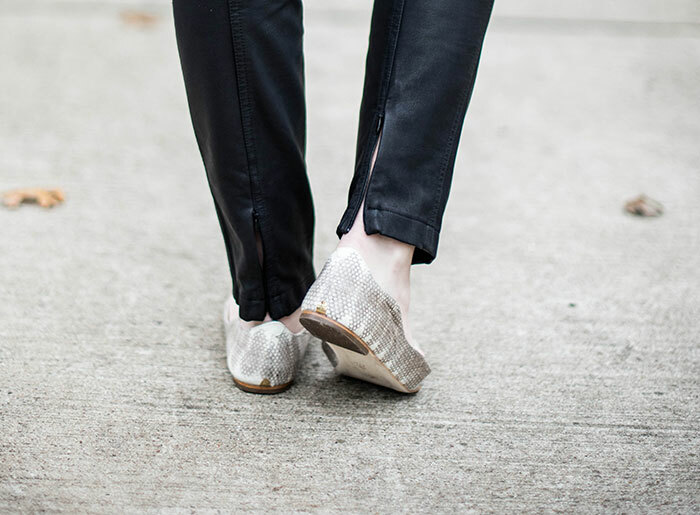 This time I paired it with my new faux-leather pants, a sale find from Shopbop’s Big Event last week. These pants are so comfortable, look just like the real thing but are under $250. Such. A. Steal. Another item I picked up during the Black Friday/Cyber Monday festivities were these adorable scalloped Loeffler Randall flats from Les Nouvelles. I’m so excited to be featured on Les Nouvelles this month featuring my holiday favorites and a Q&A – click here to check out the feature! Also, be sure to head over to RSVP Calendar to check out my outfit ideas for you Dallas ladies attending the Crystal Charity Ball this weekend. Thanks Kim for having me! 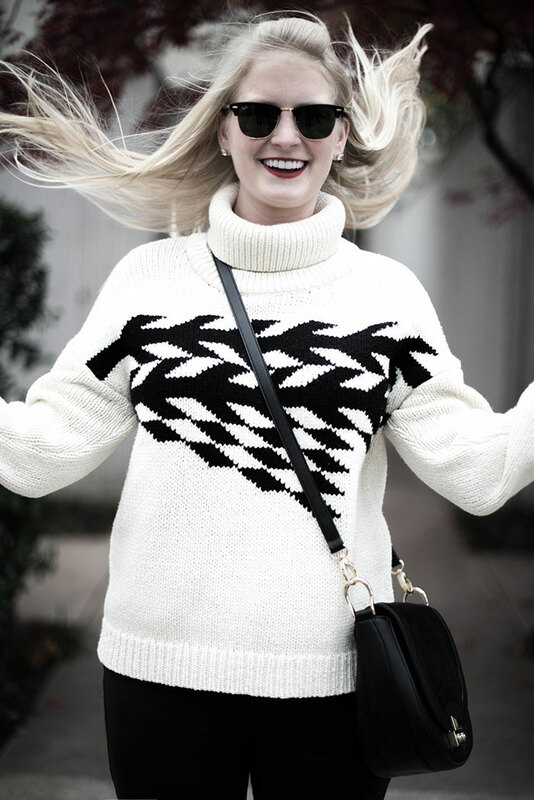 Loved your feature on Les Nouvelles and that sweater is amazing. This look is perfect. 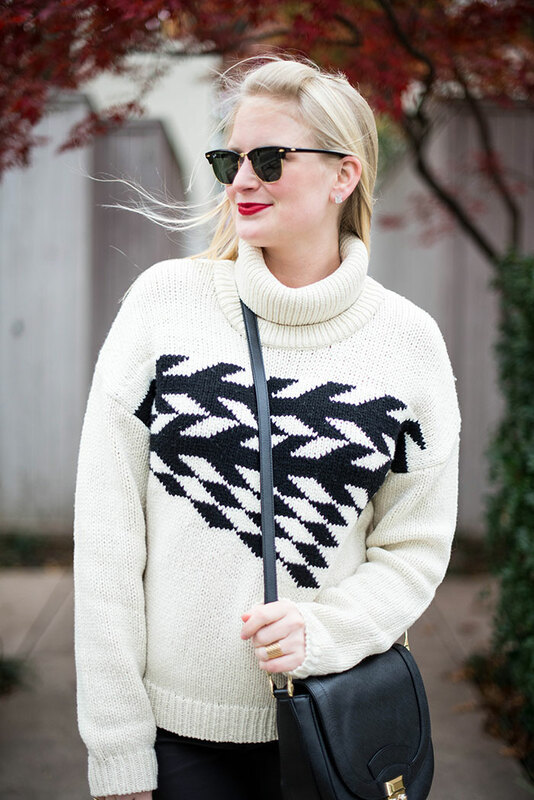 Love the sweater, all the black and white, and the Nars lip color. Love those leather pants – leather and red lips love the combination, so 80s! Love the sweater! Looks so cozy! 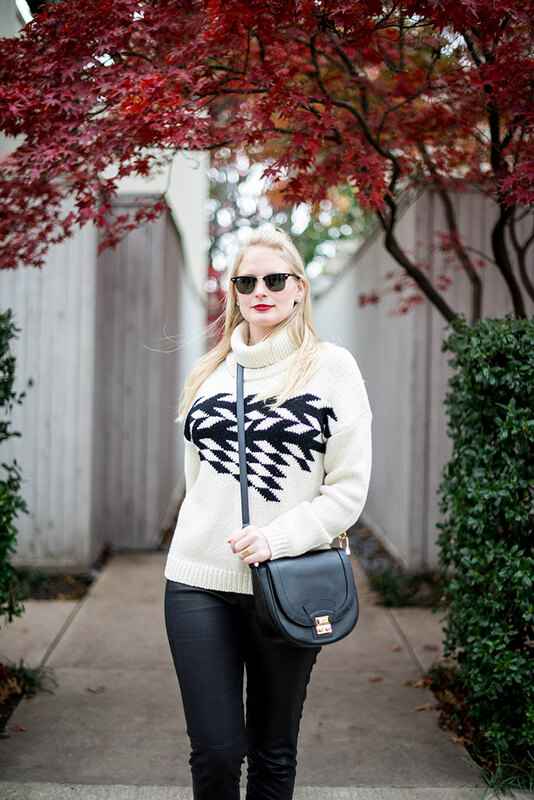 Tibi sweaters are the best! Love this. Oooh I like the Nars color, I have red squared but I might need to get that color!! Love red lips on you! Love how you wore the sweater again! Obsessed with the pants and those flats!!! Love these photos you look great. That sweater is fabulous! The pants were a great steal…you look winter ready!